Learn how to inspire others into action. Through the Self-Development Lab and the Weider Foundation Leadership Practicum, you gain the skills and self-awareness you need to thrive in your career. In today’s highly competitive job market, only MBA graduates with clearly demonstrated leadership potential attract the attention of top employers. Aspiring managers need more than hard analytical skills. They must also demonstrate empathy, self-awareness, and the ability to inspire and motivate their colleagues into action. We believe these vital skills can be taught, and are committed to the personal development of each student in our Full-Time MBA program. The Self-Development Lab offers an extensive schedule of workshops designed to help you express yourself effectively, understand your own motivations and those of others, and achieve your goals in complex, high-stakes environments. You will receive personalized feedback on your behavioural performance, communication style, and personal presence in a series of intensive, individual coaching sessions and small group workshops. 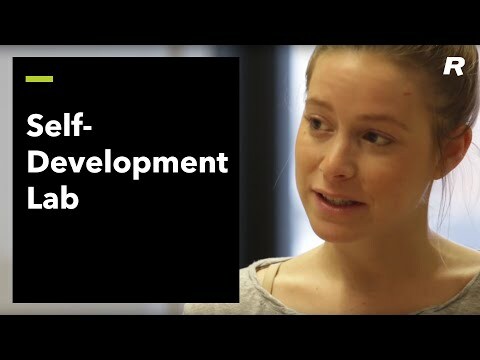 Self-Development Lab sessions are delivered in an intimate, feedback-focused format without grades or formal evaluation, to keep the focus of the sessions on real and transformative personal development. Although all Self-Development Lab modules are optional, they are attended by the majority of the class. Since the launch of the Lab, our students have consistently report learning some of the most impactful and valuable skills they need for the real world. The Weider Foundation Leadership Development Practicum is offered to qualified and selected second year MBA students in parallel to their full complement of second-year MBA courses. Designed around the latest thinking in leadership development and based on the practices of Rotman’s Self Development Lab, the program takes powerful concepts such as accountability, responsibility, initiative, self-discipline and self-determination and creates experiences. Participants have an opportunity to both understand and self-assess the extent to which they embody the dimensions of leadership. For more information on this program, we encourage you to visit this site. 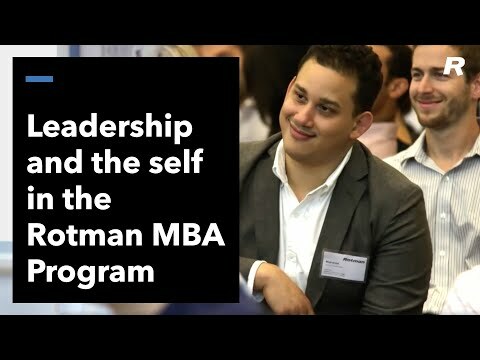 "At Rotman, there is a heavy focus on creating well-rounded global leaders and thinkers that goes far beyond just the academic learning." Giving you skills and self-awareness to thrive in your career. An extensive schedule of worships designed to help boost your impact at work and in life. The Joe Weider Foundation Leadership Development Lab (LDL) is an innovative program offered to qualified and selected second-year MBA students in parallel to their MBA coursework.